Spring Round Up of Staffordshire YFC! The first three months of 2019 have not stopped for the busy members of Staffordshire County Federation of Young Farmers Clubs (SCFYFC), who have already held nine of their County Competitions, hosted a day of Public Speaking Competitions for the West Midlands Area as well as organising a successful Turnout Ball in February and rounding off the social events with the County Dinner Dance in March. Back in January the New Year started with 13 team’s competition at Stafford Ten Pin for the Annual Ten Pin Bowling Competition. It was straight into the County Quiz as the second competition of January, and this time 20 teams from across the County were challenged to quiz rounds on general knowledge, travel, famous faces and music. Later that same week Eccleshall and Uttoxeter met to take part in the County Debating Competition, with Eccleshall taking first place and heading to the West Midlands Area round of the competition which Staffordshire YFC were hosting in February. 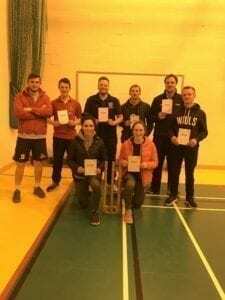 February saw SCFYFC hold a Clay Pigeon Shooting Competition over at Doveridge Clay Sports and then later that month the Darts Competition was held in Leek. The County Ball was held at The Ingestre Suite, County Showground with just over 300 members and guests enjoying DJ Tom Bowers, ex Harper Student and member of Eccleshall YFC keeping the dancefloor filled. Rounding off a very busy February, Staffordshire YFC hosted their fellow West Midlands Area counties with seven competitions including Junior Speaking, Senior Debating and a Show Choir Competition. Eccleshall YFC kept up their winning streak on this day and will be taking part in the NFYFC Finals of the Show Choir Competition which is also held on the County Showground on 6th July. The County round of the Cookery Competition was held in March which this year was kindly supported by Like Nanna Made. From baking to sport, there is nothing that Staffordshire YFC members won’t have a go at. Later in March, clubs took part in the County Volleyball Competition over at Madeley High School, Newcastle. Then rounding off the month, they held a Pool Competition, Silage Judging Competition and in the mix there was an Irish Night held over at Checkley Village Hall where members let their hair down in true YFC style! April has already started with the sound of the hammer and gavel being knocked down, as 11 members had a go at a brand new competition, Auctioneering, held by kind permission of Johnsons of Cheadle, with expert judges, Mark and Meg Elliott of Bagshaws Llp giving some excellent advice and encouragement on the night. Waterhouses member, George Goodwin will go forward to represent Staffordshire in the West Midlands Area round which is held at the Three Counties Show in June. Members also “flinged themselves into spring” with their traditional event, a Spring Fling Disco, held for members across the county over a Lower Loxley by kind permission of the Phillips Family. A great night was had by all those who came. Staffordshire YFC is looking to recruit more members for all of its ten clubs in the coming months, and is holding a One Big Social Night on Thursday 18th April where members “past, present and potential” are invited to come and meet with Club Officers from each of the ten clubs – Abbotsholme, Ashley, Chase, Cheadle, Eccleshall, Leek, Lichfield, Stone, Uttoxeter and Waterhouses. The federation had 561 members currently aged 10 years – 26 years of age. In order to continue with double representation on an area and national level at competitions and meetings, they need to have 601 members by the end of August. To get involved in Staffordshire YFC, contact the County Organiser, Julia Taylor on 01785 248645 or email organiser@staffyoungfarmers.org.uk. The first time Staffordshire YFC have held a Auctioneering Competition and it was a huge success with 11 members from across the County taking part. Each competitor had to describe and value 6 lots, varying from a pressure washer to a T707 New Holland Tractor! They then had to choose 3 items to auction off in a mock auction. The winners on the night were: 1st – George Goodwin (Waterhouses YFC), 2nd – Peter Cotton (Waterhouses YFC) & 3rd – Alicia Smith (Chase YFC). George & Peter now qualify to represent Staffordshire YFC at the West Midlands Area round in June at the Three Counties Show. Please click HERE for photos from the evening. 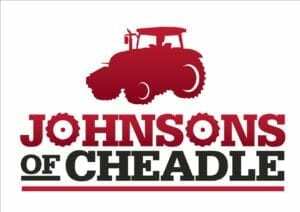 Thank you also goes to Johnson’s of Cheadle for hosting the event and Bagshaws for their support. After the competition, competitors enjoyed a well deserved carvery at The Bull & Spectacles, a big thank you goes to ACT Wessex Animal Health who kindly sponsored the Competition. 1st – Eccleshall YFC, 2nd – Chase B YFC & 3rd- Leek YFC. Barbers Rural for providing shopping bags and lists for the competitors. 1st – Eccleshall A YFC, 2nd – Waterhouses A YFC & 3rd – Lichfield YFC. Staffordshire YFC turns “Mad Hatter” for the evening! On Saturday 9th March, Staffordshire Young Farmers Clubs (YFC) held their successful Annual Dinner Dance at the Ingestre Suite on the County Showground for over 390 YFC members, guests and supporters of the organisation. The Black-Tie Dinner was themed as “Mad Hatters” with a very colourful Alice in Wonderland themed evening complete with an illuminated Cheshire Cat and a photo back drop painted by local talented member of Stone YFC, Phillippa Bourne. The evening was also kindly supported by Barbers Rural Consultancy who are an independent firm of Chartered Surveyors, Rural Estate Agents and Auctioneers located in Market Drayton. Following a four-course meal, members and guests danced to Tecno, Tecno Disco, enjoyed a flutter on the Casino and socialised with members past and present in true YFC style. The raffle on the night was supported by Barclays Bank Match Funding for up to £1000 and prizes ranged from whisky and wine to vouchers for days out, all kindly donated by the federation’s Vice Presidents, who support Staffordshire YFC throughout the year. The Annual Dinner Dance is one of the highlights of Staffordshire YFC’s busy social calendar and raises valuable funds to keep the federation running so successfully with over 550 members aged 10 – 26 years of age.